Persian Star is a Purple Stripe garlic that is a favorite of growers and cooks alike due to its vivid color, great taste, and large cloves. Photo courtesy of Marvelous Roots. Persian Star garlic is a great example of what Purple Stripe garlics have to offer, with vivid colors, a rich, strong taste, and large easy-to-peel cloves that make it a favorite in the kitchen. It also goes by other names including Samarkand and Duganskij, and Duganski;Persian Star is said to have originally been discovered at a market in Samarkand, Uzbekistan. 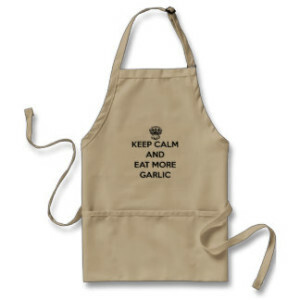 – the general area believed to be where garlic first originated thousands of years ago. Genetic studies have shown Purple Stripe garlics to be the original line of garlic that other cultivars evolved from. 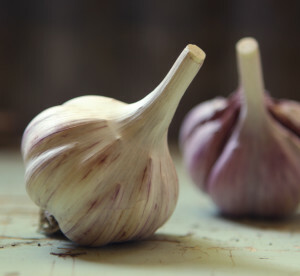 They’re also one of the few garlics that viable true seed have successfully been produced from. Purple Stripes such as Persian Star garlic are very flavorful, with a robust garlic taste that isn’t as sulfurous and overpowering as some varieties can be. Persian Star generally harvests in the middle of the season and stores for about five to six months.